First of all Thank You Very Much for your website. 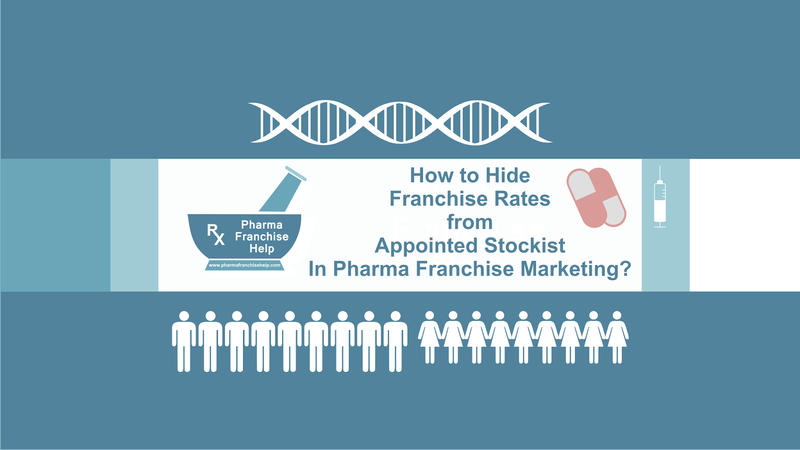 I got much knowledgeable information about Pharmaceutical Franchise from it. Nowadays, I am working as a Pharma Marketing Professional since 2 years. But, I have planed for Pharmaceutical Franchise. As I haven’t Drug License, I will do it with appointing a Stockist/Distributor. I don’t want to disclose my Net Rate with Stockist/Distributor? I don’t wish to disclose Net Rate to my MR’s? After appointed a Stockist. Can I stock medicines in my own home? Kindly resolve my issues/doubts as soon as possible. If you will purchase through appointing stockist/distributor then there is very very less chances you can hide rates from distributor. In one way you can hide rates from distributor/stockist if company invoice at stockist rate and that will not be possible by a company to do it at regular basis because how they will show increased profit margin. If any company will be ready to invoice at stockist rates then you can hide rates from distributor. You don’t need to show rates to MR’s. You can handle distributor by own. Don’t disclose any rates to MR’s. Click at below article link to read in detail about particular topic.